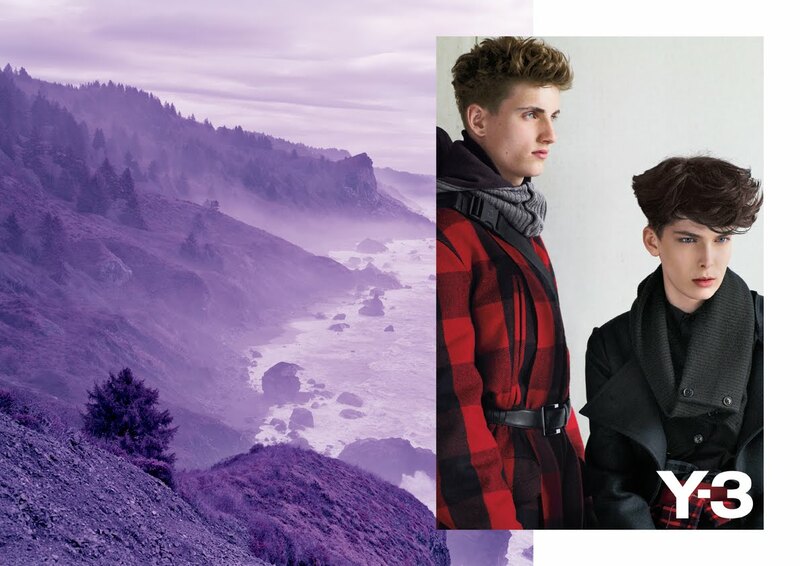 Before I start reporting about my adventures in Berlin last week where I've been for Mercedes Benz Fashion Week and Bread&Butter I want to present you the Y-3 fall/winter 2011 ad campaign photos. 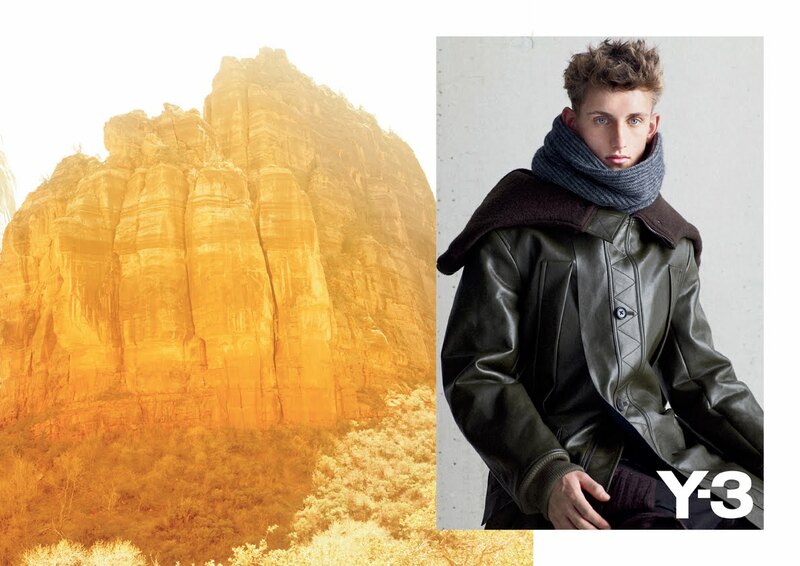 The collection has been inspired by the nature of escape - on horseback, on foot, and into the hills - and by books such as Jack Kerouac's 'On the Road' and Jon Krakauer's 'Into the Wild'. This meant protection first and foremost, realized in exaggerated funnel-neck collars, simple modularity, voluminous, cocoon-like silhouettes and intensive quilting on everything from hoods to coats to leggings. In classic Yohji Yamamoto fashion, prints and patches on select garments spelled out the collection's theme, stating phrases like "Nowhere in Particular", "Homeward Bound" and "I'm on the Road". "Traveling means coming back home," Yamamoto explained backstage at the show that took place in NYC in February. "We are always unconsciously wanting to come back. It is one of man's strongest desires." 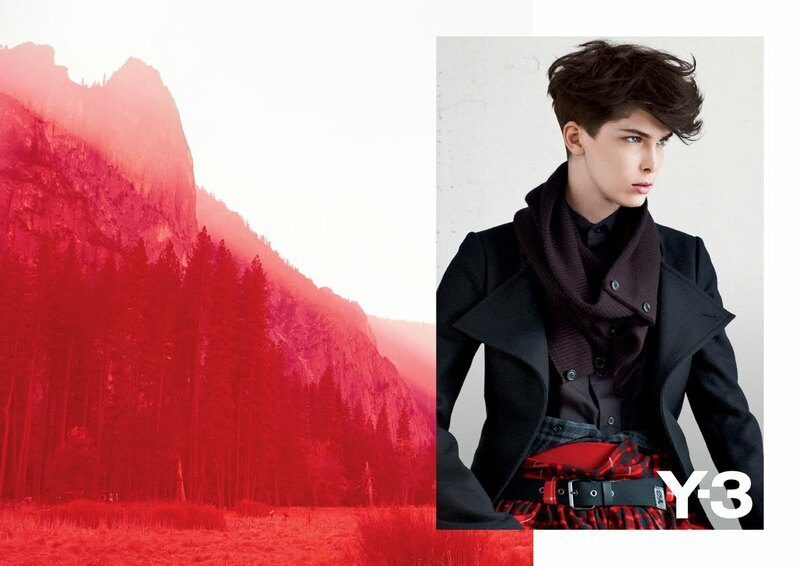 This inspiration is reflected in the campaign photos that have been created by Collier Schorr and show the models Kristina Salinovic & Robin Ahrens in Y-3 looks next to beautiful coloured landscapes by the photographer David Benjamin Sherry.